I cannot believe it, this week has flown by so fast. I made it! This diet calls for a lot of eating. It feels as if I am stuffing myself each day but I am losing weight and I am losing inches. A total of seven pounds lost and thinner by 2 1/4 inches on my waist. Brown rice and real juice is on today's menu. If I am going to have brown rice for breakfast I want it to be sweetened and I want it to taste good. 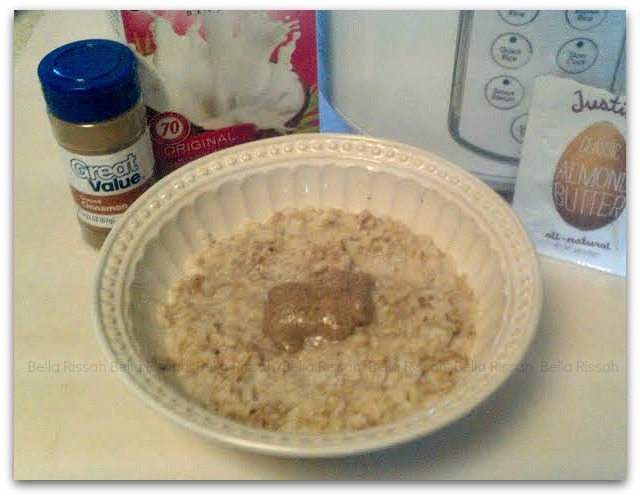 I searched for a sugar replacement and found that I could add coconut milk. It is slightly sweet and because it is made from coconut then it is milk and fruit juice at the same time, (I can have as much as I want). I was surprised that it taste so good and sweet; it does not leave me with that milkish-coated feeling in my stomach. I can also add vanilla and cinnamon to my sweet rice because both are spices or flavors and not really considered food. Well, we are down to final day. Folks, I will post the weight and inches lost in this post so you won't have to wait any longer to know if this really works. Breakfast: A glass of coconut milk. Lunch: I had a bowl of soup and added the brown rice. And a glass of coconut milk. Dinner: Bowl of soup with Tapatio sauce. We made it through the whole week and I found the skinnier side of me! But, the best part of it all was sharing my journey with you. Thank you for visiting me each day. And that, my friend, came from a "I lost seven pounds" woman.